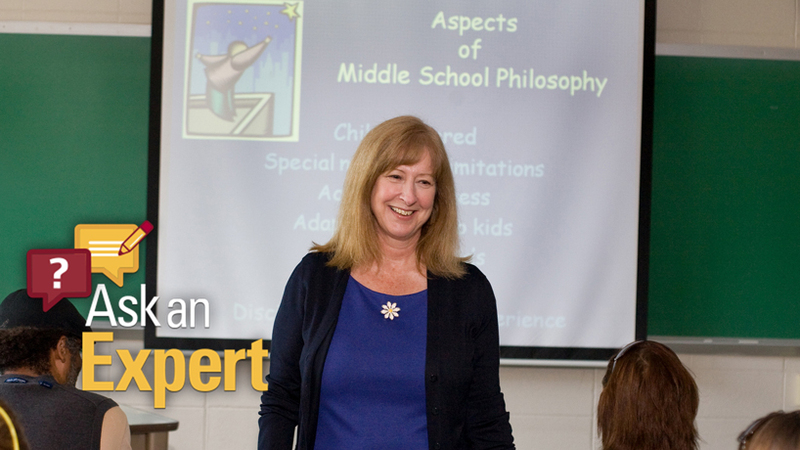 Since then, the prevailing research into the efficacy of homework in helping students learn subject matter – as well as the mental toll too much homework can have on K-12 learners – has reinforced and deepened understanding of the conclusions Vatterott drew. Initiatives that were first gaining traction in 2009, such as homework support programs and the idea of “flipped learning,” are far more common now. 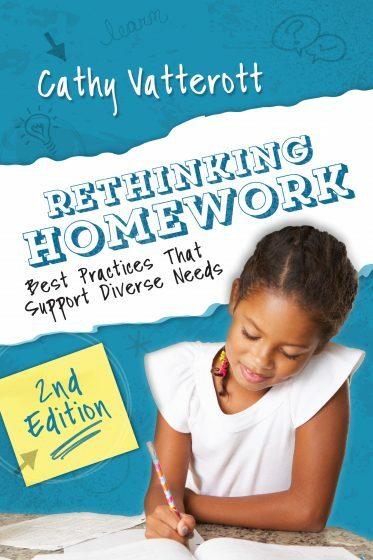 In the latest installment of the “Ask an Expert” series, UMSL Daily spoke with Vatterott about her updated second edition of “Rethinking Homework,” which was released in September and reflects the latest research into the good, bad and ugly of educating through homework. There is more research about the flipped classroom, which is where teachers put the lecture online and do the homework in the classroom. There is more about what we would call “self-assessment.” There is motivational research that backs that up. The bigger social issues have to do with increasing poverty. Since the first edition came out, there’s a new expression called the “homework gap” or the “digital divide.” It’s basically saying that kids who live in poverty don’t have the technology – internet access or a computer – and 70 percent of teachers assign homework that needs the internet, but there are more than five million families in the country with school-age children that don’t have internet access at home. That’s a new recognition that wasn’t there before – that we’re doing so much more with technology, yet we have this whole population of kids that don’t have technology and that the economic gap is wider than it was. What happens now is, if you have poor and middle-class kids in the same school, those poor kids may be discriminated against. They might be failing because they don’t have the conditions to do homework, or they don’t have resources to do the homework. That’s a whole piece. And then the other piece – which, to me, is quite fascinating – is the growth in what we call “overparenting.” It happens everywhere, but it’s especially prevalent in our high socioeconomic communities. There’s this issue of what we call the “achievement culture,” which says that if these kids aren’t doing three hours of homework a night, they’re never going to get into Harvard. What goes along with that is this huge increase, even in elementary school, of kids dealing with anxiety and depression. What we’re finding is now we are talking about work-life balance for kids. What’s wrong with that picture? In addition to that, there’s also a lot of research about the need of your brain for downtime and sleep. The sleep research has been very powerful. All of that, basically, is new research that’s come out since the first edition was published. How receptive are educators to hearing the message that more homework doesn’t necessarily mean higher-quality learning? That’s what I do in my missionary work. Parents and teachers alike confuse rigor with load. You have to show them the research that doing 40 problems is not necessarily better than doing 20 problems. There’s all kinds of research out there about the ineffectiveness of overkill. The research says that, once high school students are doing more than two hours a night, it’s not helping them. They’re getting burned out, overly tired. But one of the most powerful pieces in the research, to me, the really sad thing is when they ask the students about how meaningful the work is, and they say it’s not meaningful. What’s happening is the kids are doing it because they have to, but they’re not seeing it connect to their learning, which means there’s a lot of bad homework out there. What sort of homework is the most useful for subject-matter mastery? Homework that allows students choice, that allows them to pick a way to learn something that works for them. I say that nothing should go home that doesn’t have a “learning target” on it. In other words, “Why am I doing this?” And when students have some autonomy in what they’re doing then it becomes more meaningful to them. That’s why I’m such a fan of flipped homework. If you think about it, if you send home a task that you’ve talked about in class and they don’t understand it, the homework does them no good. But if you send them home with a video to watch, they can make notes about what they did and did not understand and bring them to class. The best homework right now, to me, is flipped learning. How widespread is flipped learning? There is a movement, a global initiative, for flipped learning. It’s much more common in high schools and middle schools than it is in elementary, but it’s a growing movement. It’s definitely not commonplace yet, and it’s also dependent on whether all your kids have internet access. You probably wouldn’t be able to do flipped learning in a high-poverty school. In 2009, we were just at the tip of the iceberg of people looking at what made good homework and looking at the amount of time it took for kids. When I wrote the first edition, there was a limited number of schools that offered what I would call a “homework support program.” That would be an afterschool program, or time during the day, time for kids to do homework. Now, I would say the majority of schools have something in place for that, which is way different than it was 10 years ago. What are some strategies teachers can try to implement in high-poverty schools? In a lot of high-poverty schools, they do homework, but it’s not done at home. In other words, the more commonplace thing is to extend the school day and allow all of that independent practice or work to happen at school. I always say we need to build that habit of kids working independently, but it doesn’t mean that has to happen at home, where they may not have a quiet place to work and the materials they need. Do effective homework strategies differ between levels of schooling? Elementary teachers really just need to focus on empowering kids to figure out the best way they learn. For instance, they give homework that says, “You need to practice counting.” Then the kid goes home and says, “I’m going to count the boxes of cereal in my cabinet,” or, “I’m going to count the trophies at the taekwondo place.” That’s what we’re seeing, but the other thing we’re seeing in elementary is they’re eliminating homework altogether, or a lot of schools are limiting it to reading. Teachers have discovered if they send the math home and the kids are doing it wrong, then they have to unlearn it. Research confirms that we can’t prove an academic benefit for homework for kids in elementary school. What results do you see from schools who are taking a more modern view on homework? When people are reforming their practices, they will start looking at limiting time. They will start looking at differentiating among kids who need different tasks to get to where they need to be. A lot of them are looking at either taking homework out or limiting the percentage it can count in the grade. And most of them are looking at how to educate parents about “help.” I put “help” in quotation marks because we have a huge problem with parents doing the work for kids, and we need to educate parents about what they’re supposed to do and not do. And then homework support programs, the idea that, if you’ve got kids that aren’t doing it and you need to see that work and see what they know and don’t know, then we need to find a block of time during the school day or after school.